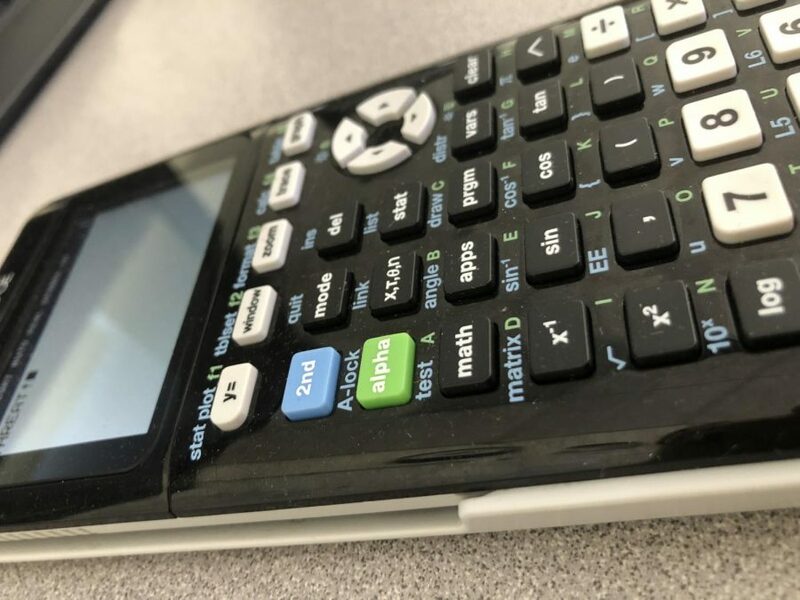 On Friday, the Sheriff Department was called after an anonymous threat was left on a calculator. The San Diego Sheriff’s Department was called in response to an anonymous written threat that was likely a prank on Friday, March 15. According to Assistant Principal Robert Caughey, the threat was written on a calculator discovered by two students during third period. The threat was immediately reported to the administration and the police, though the investigation has yielded no results in terms of finding the student responsible for the threat. “In this case, our mantra of ‘see something, hear something, say something’ worked perfectly. Students…in period three found the message, they immediately shared it with their teacher who shared it with us,” said Caughey in a classroom presentation about the incident Tuesday. In addition to the Sheriff’s Department, parents and the district office were also contacted and informed of the situation. An associate superintendent came to support the site during the investigation, said Assistant Principal Celeste Barnette. At this point, administration and the investigation teams have concluded that the threat was most likely a prank, she said. “We exhausted all of the leads that we had and did not find any evidence that the threat is credible…We are presuming, at this point, that it was a joke, which is what we hoped it was from the beginning,” said Barnette. Even though administration believes the threat was a joke, for the sake of student safety they must always act as if the threat is real, said Barnette. “When we get a message like the one that was left on that calculator, we have absolutely no choice but to take it seriously. We have to look at it and say ‘this, at this moment, is deemed a danger to our campus,’” said Caughey. Principal Adam Camacho said in the email sent to all parents, “During situations like this, SDA administration is committed to doing everything possible to ensure we can run school smoothly and safely…As part of our “see something, hear something, say something” campaign, we encourage all students to report concerns to any staff member and today our students did this,” said Camacho.